Mommy actually works in a hardware store and sells shovels. Art is such a personal interpretation isnt it? 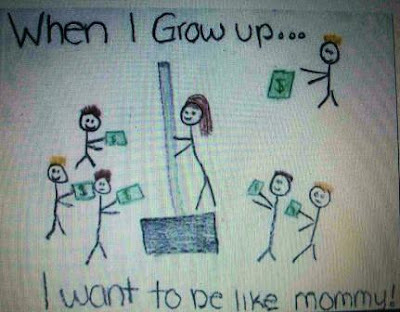 Mommy: is just pleased she saw this before it went on display in the classroom for Parents' Day.